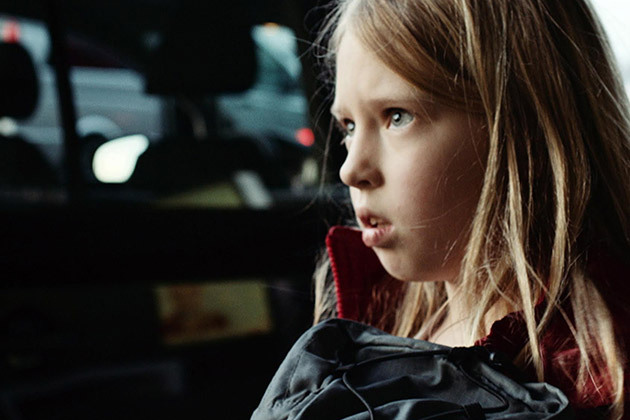 The five Oscar nominated short films this year hail from Europe, the United States, and the Middle East. They involve themes of communication, belonging, honor, and isolation. Each contains at least one moment, even if barely a glimmer, of understanding between two characters separated by age, gender, culture, or distance. I enjoyed them all for the depth of each story and a shared longing for connection, either to others or the past. Definitely the most humorous of the five films, Ave Maria was directed by Basil Khalil from his screenplay with Daniel Yáñez Khalil. A small group of Palestinian nuns are enjoying dinner one late afternoon in their West Bank convent when a small car crashes into the statue of the Virgin Mary outside their front door. The driver, Moshe (Shady Srour), his exasperated wife Rachel (Maya Koren), and his crotchety mother (Ruth Farhi) are shaken but not hurt. They have to make it back to their Israeli settlement by sundown, when Sabbath law restricts them from operating machinery, but their car is totaled. When they ask the nuns for help, they find out the sisters have taken a vow of silence. It is up to both the family and the sisters to break tradition in order to find a solution. 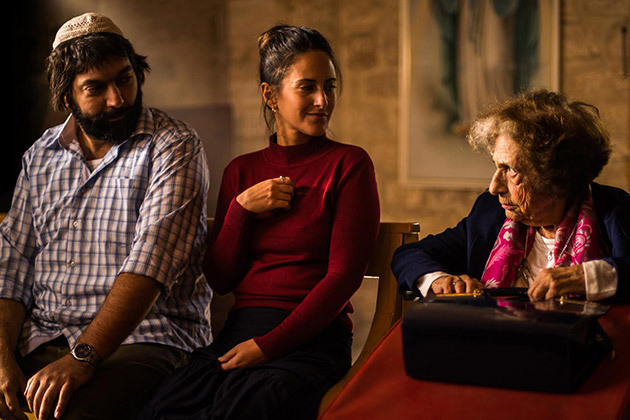 The constant bickering between the women in Moshe’s life is the staccato counterpoint to the steady rhythm of the nuns’ movements and nonverbal communication. By the time the head mother breaks her silence out of frustration at all the fighting, she silences the room and proceeds to dictate the flow of conversation as she prays for divine guidance. Day One is based on the real experiences of writer-director Henry Hughes with U.S. forces in Afghanistan. 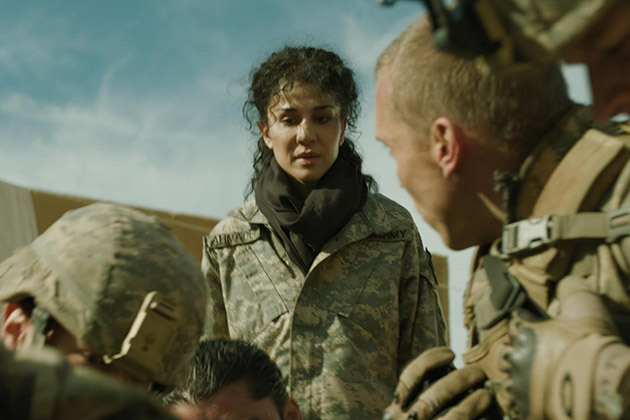 Feda (Layla Alizada) is a recent divorcée on the first day of her new job as a U.S. Army interpreter in Afghanistan. Her assignment will be to accompany the troops and speak to villagers. On a routine patrol, a roadside bomb detonates and the soldiers search a nearby town for the bomb-maker. As they are interrogating a suspect, his wife goes into premature labor and Feda must assist her in giving birth, as the male doctor accompanying her initially can not enter the room and can only dictate instructions. The opening scene of Feda taking a quick shower in the communal tent, unaware that men and women have separate schedules for bathing, and discovering her menstrual cycle has inconveniently begun, foreshadows the later scene of Naheed’s difficult labor and the peril women find themselves in every day in these parts of the world. Natural processes of womanhood can swiftly become life-threatening, and in this dangerous situation, two women from opposite sides of the world reach for each other to save a life. Special attention is paid to the cultural structures of behavior between Afghan men and women, compared to the protocols of the soldiers and civilian workers on the American side. As the situation grows more dire, the people involved refer to each other as “brother” and “sister” as the life of the child becomes the focus of all involved. While driving along a beautiful Kosovan country road, a man (Kushtrim Sheremeti) spots an abandoned bicycle in the middle of the road and tells his friend to go ahead in the car while he will ride the bike into town. As he is pedaling, his mind returns to the last time he rode on such a bike. As a child, Petrit (Lum Veseli) is oblivious to the danger creeping around him as the Kosovan war inches closer to his home. He and his best friend, Oki (Andi Bajgora), spend their days hanging out and exploring on Oki’s new bike, which cost him a year’s wages from selling almonds. Petrit doesn’t share Oki’s patience; he regards himself as a smart guy, a businessman, one who can enter the Serbian camp in the edge of town and trade items for a few coins. In a few weeks, he can have his own bike like Oki. Family members shield the boys from news reports of Serbian troops closing in on Albanian villages but warn them about curfews and staying close to home, wanting them to enjoy the childhood that is rapidly shrinking. One day, Petrit’s “business dealings” with the Serbian soldiers goes sour, and it costs Oki his bike. The storybook countryside of the boys’ town, captured beautifully by Philip Robertson, stands in contrast to the rusting structures of the Serbian checkpoints and encampments. When the full reality of their situation becomes clear to the boys, their friendship and honor put them both at risk. Writer-director Jamie Donoughue based this entry from Kosovo and the United Kingdom on true events, and the final shot alone of young Petrit forced to march with his family out of their home and town is disturbingly bleak, as is the flash-forward to the adult Petrit standing on the same street, long abandoned and silent. This film relies on the intuition of a little girl named Lea (Julia Pointner) that her father’s attentiveness on their weekend together is not what it seems. From the outset of his scheduled visit with his daughter, Michael (Simon Schwarz) is on edge, anxiously ringing the buzzer on his ex-wife’s front gate and pacing until she brings Lea out. He hardly speaks to the woman, but dotes on the girl. Taking her shopping and to get fast food and an amusement part all seem wonderful on the surface, but Lea senses something isn’t right below all the indulgence, and her steady looks at her father are increasingly avoided. The child is in a situation that is beyond her control, so she complies with his commands even as her questions become more pointed and his replies more petulant. As Michael’s composure begins to unravel, Lea grows more clear-headed and uses a sliver of opportunity to summon help. The power of this film culminates in the intense final scene, when Lea’s mother is outside the hotel room with police and Michael and Lea are inside. Shaking and distraught, Michael pleads with the little girl to choose him over her mother and not to leave him alone. Visibly upset, Lea tells him he can change the situation if he just says he is sorry. The simplicity of a child reasoning with their parent that an apology will make everything better is set against he mounting tension on the other side of the door, and seeing the foundation of her strength crumble is heartbreaking. This is my favorite of five wonderful short films. It is so hauntingly sad and yet delicately hopeful, its scenes of frustration dealt with a patient hand that focuses on both the anxiety and determination of the narrator. The first shot is a close up of the source of his frustration and isolation: his voice, or rather his speech impediment. 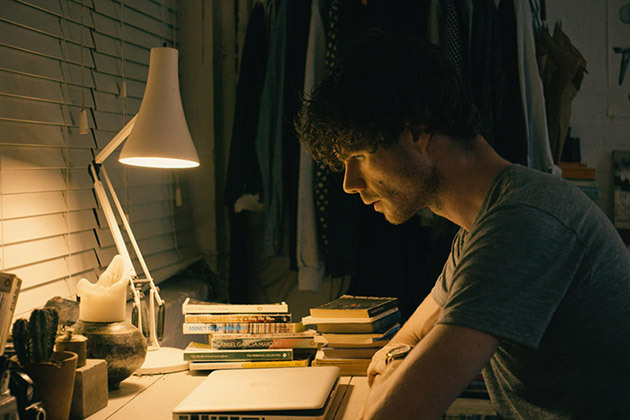 Greenwood (Matthew Needham) is a typographer by day and carries on a relationship at night – with a Facebook friend named Ellie (Chloe Pirrie) whom he met online. With Ellie, Greenwood’s love for and adeptness at words is unrestrained and every flirtation is captured in the sentences he and Ellie prefer over textspeak. In reality, Greenwood can barely utter a sentence over the phone with a customer service rep before being disconnected. The letters he sets every day at work, the building blocks of words and phrases and clauses, represent the everyday connections tantalizingly out of his reach. Inwardly, Greenwood constructs stories about people he watches on the street or subway, sizing up the dragons he will forever be fighting. With Ellie, his words can flow as long as cyberspace is his armor. His impediment hangs over his life like an umbrella – even the broadband company he keeps calling for service is called Umbrella – and the struggle for connection that most of us find paltry and trivial is of vital importance to him as it is his only means for expression and joy. In a twist reminiscent of O. Henry, Greenwood must decide whether to meet Ellie face to face when she comes to London. We believe in Greenwood and his attempts to overcome his affliction, as it reveals as much about his truth as our own anxieties over the depths of our constructed personas on social media versus actual, physical relationships.